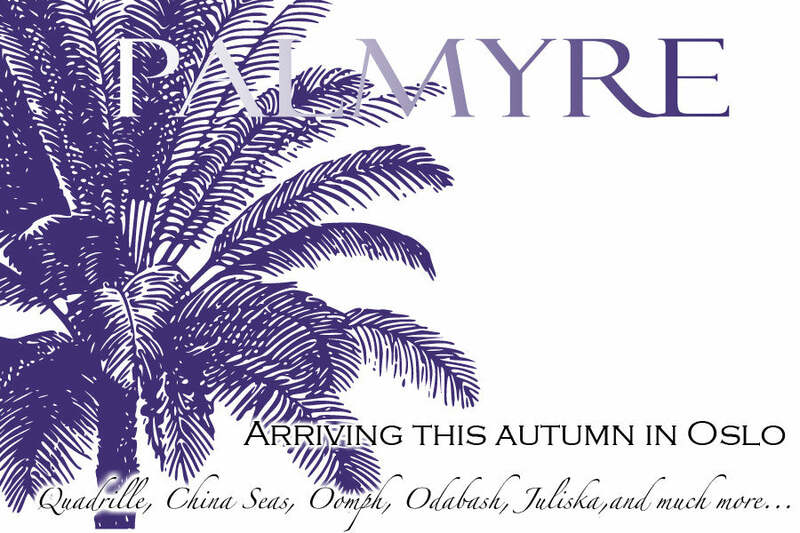 We are thrilled to announce the opening of Palmyre, Nicolette Horn's new store in Oslo this week. 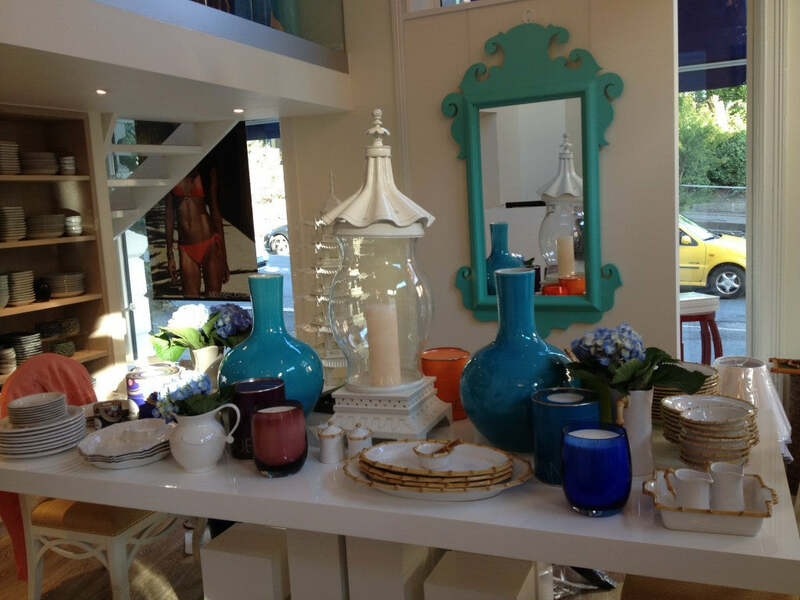 Nicole bravely purchased stateside for her gorgeous retail space and outfitted it with all our favorite stuff - Quadrille, China Seas, Juliska, and oomph! The results are, of course, just as you would expect - beyond spectacular! 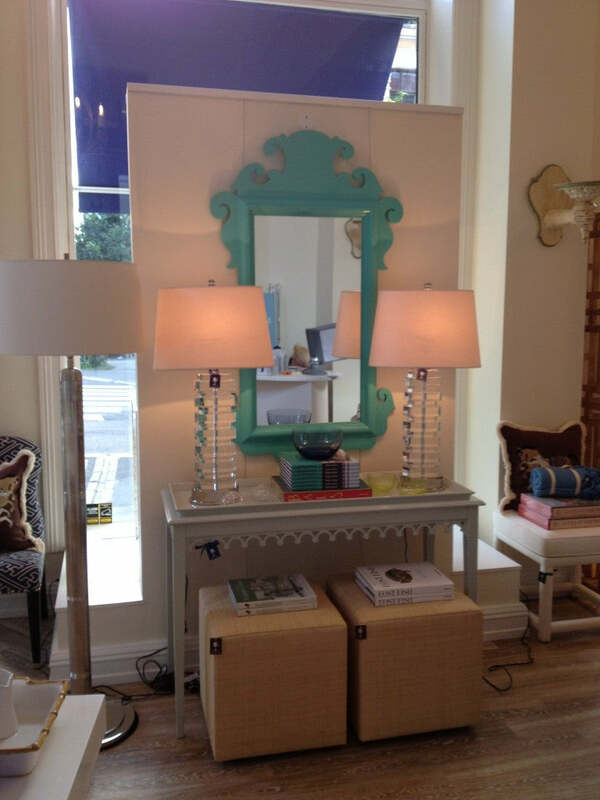 She kindly sent us a few snap-shots - this one a beautiful vignette featuring the oomph Charleston Mirror, Newport Console, and Raffia Cubes. She selected oomph from all our categories - tables, chairs, mirrors . . . and even added to the order before the container left New York! Now that she has had her "soft opening", she is already anticipating the need for another container! PS - everything arrived unscathed - and we are pretty pleased about that too. 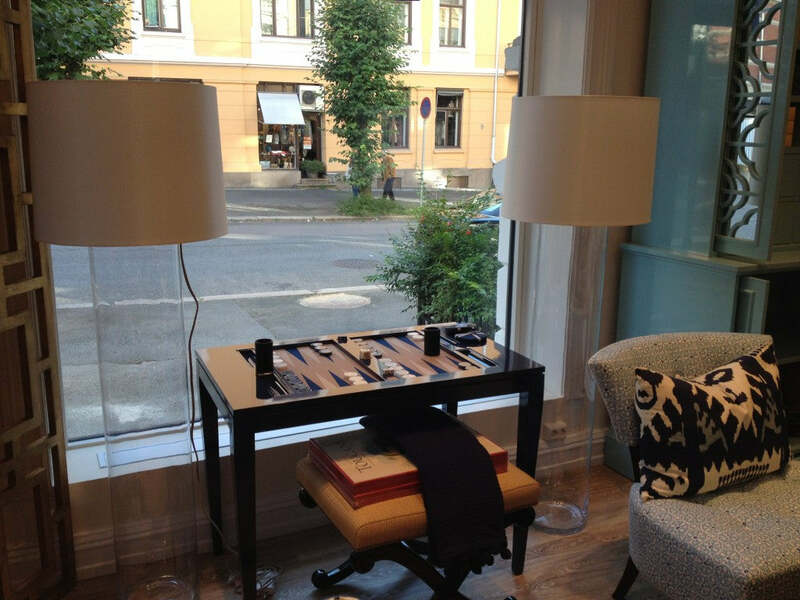 The navy oomph Backgammon Table is featured in the window. Apparently backgammon is an international phenomenon and the Norwegians cannot get enough of it. We cannot wait to see all the official pictures and hear how the first few weeks are going. 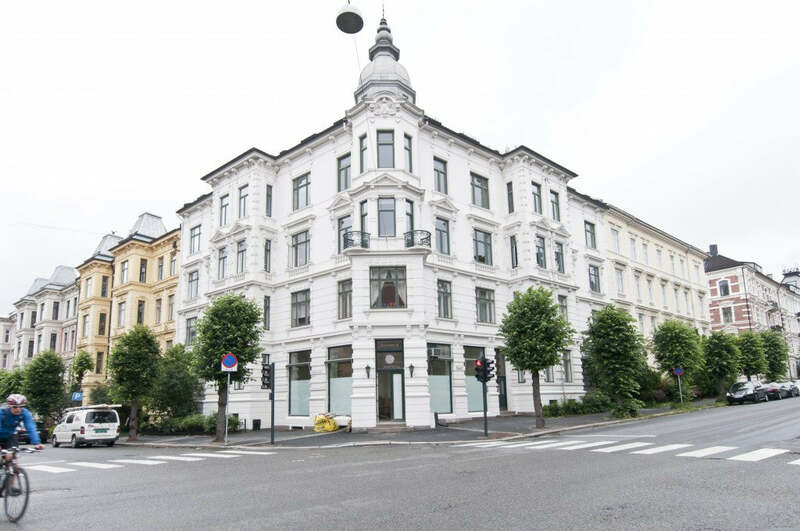 Be sure to stop in when in Oslo and say hello to Nicolette for us. We hope to do a road-trip as well to see this gorgeous shop first-hand. Plamyre - Skovveien 16, Oslo, Norway.